It’s been a while since the ladies of Girls Interrupting have given you some comic book goodness! 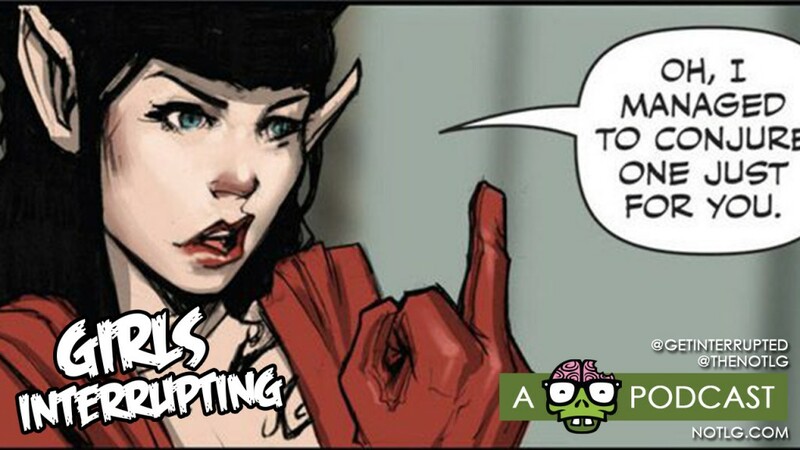 They’ve returned with a vengeance this month, giving you their thoughts about “Rat Queens”! They also touch upon the new Gail Simone’s upcoming “Nightwing/Oracle” series, Greg Rucka’s “The Question”, Matt Fraction’s “ODY-C”, “Angelina: Asgard’s Assassin”, and Michelle MacLaren directing the “Wonder Woman” movie! They also play Gamebangers, which consists of Hometown Heroes! So join us, won’t you? I came at Rat Queens from a different angle, since I’ve played an unhealthy amount of D&D. So the funny thing is that I had no problem with Hannah leading and everyone inexplicably liking her despite being a jerk–that’s pretty much how a D&D adventuring party works in game =P Not to mention that D&D Elves are notorious assholes, which seemed fitting. The nice subtle bit, in my opinion, was taking all those standard party dynamics and tropes and weaving them into the plot so they don’t seem out of place.